If you know anything about fashion or your client or idea is “oh so Fashionista! 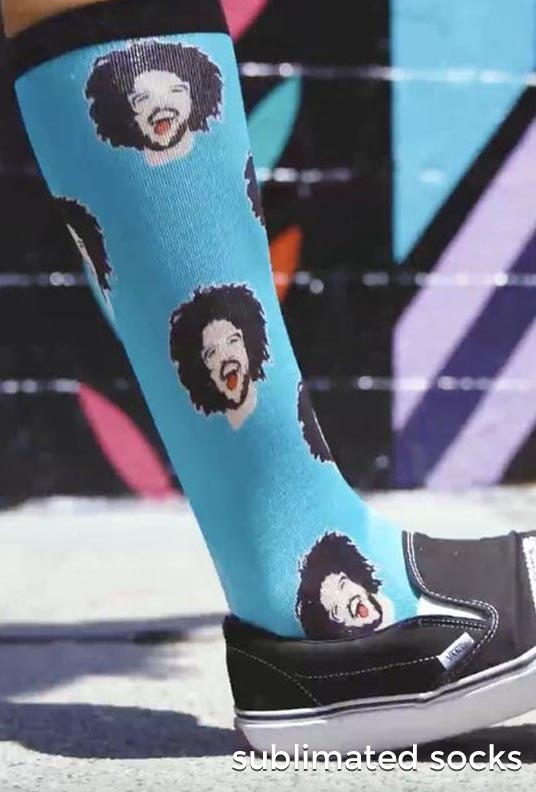 ” then you know that unique socks are trending way up both online in some of the most influential blogs and for sale at both digital and brick and mortar retailers. Simply put, socks are hot! Send your logo and design ideas to your distributor and we will do a free virtual design. Expedited order delivery available. Min order is 250 pairs. View all category end user flyers- Click Here. We use a multi-functional technical knitting process & high-quality jacquard technology to produce the world’s best knit promotional socks. This process produces a superior soft-feel custom designed knit sock. 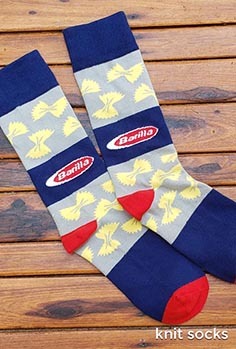 Send your logo and design ideas to your distributor and we will do a free virtual design on a custom knit sock. Expedited order delivery available. Min order is 250 pairs. 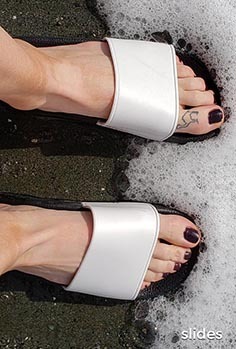 We've finally found the only sandal anyone can wear, The Slide. Customizable and logo friendly. The Slide allows you to Stand in what you believe in! Customize your own unique pair for your business or event marketing or order them for the entire team. The Slide is available in 6 great colors and color combos including solid white, red and black and combinations of those 3 colors. Your order can be spread across 4 sizes, XS, S, M and L. Send your logo and design ideas to your distributor and we will do a free virtual design on a custom knit sock. Expedited order delivery available. Min order is 250 pairs. "Why Would You Go Anywhere Else When You're Already Here? "We Do Weird Well!"